Bluecoats member Eric Porter submitted this photo and caption. Here's the corps grabbing some ice cream before we headed out to the Bowling Green, Ohio show. 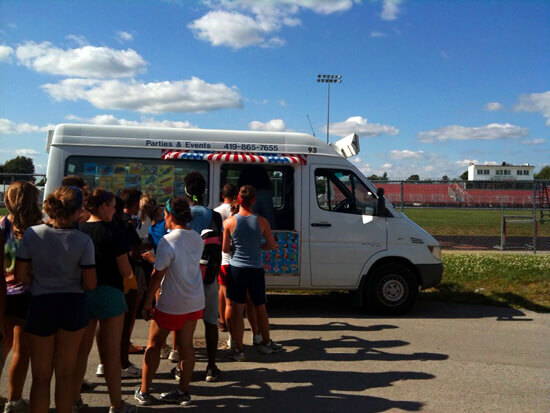 The ice cream truck came earlier during rehearsal, but one of our instructors asked them to come back later. Thanks Lesa!